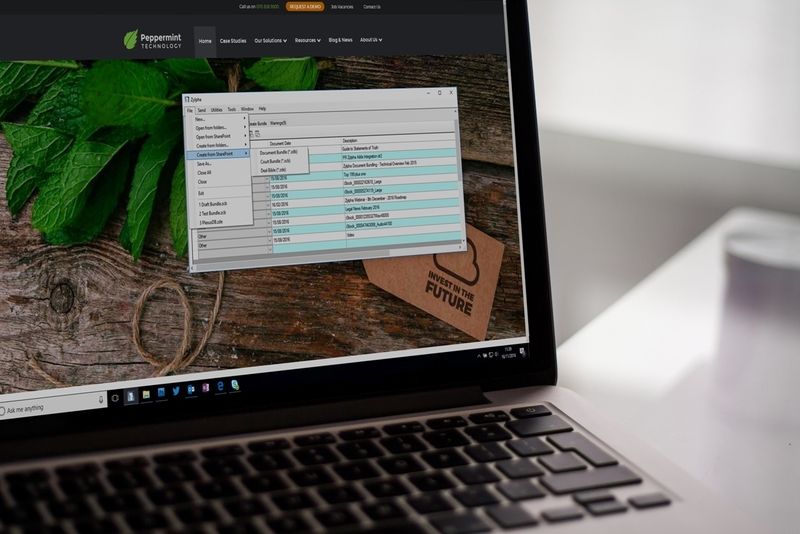 A partnership between next generation legal software provider, Peppermint Technology, and innovative legal process provider, Zylpha, is providing Peppermint clients easy access to the benefits of automated document bundling. Integrated into Peppermint’s cloud legal software, Peppermint CX, Zylpha’s electronic document bundling software allows law firms to assemble and deliver Court Bundles, Deal Bibles and Contracts at a fraction of the cost and effort of a manual process. The Peppermint & Zylpha product teams are now collaborating to build deeper integration to ensure a one-product experience for end-users, and aim to release this in Spring 2017. “Improved speed, accuracy and cost effectiveness are the key benefits of Zylpha’s electronic document bundling service, ” says Peppermint CTO, Mike Walker. Switching to Zylpha’s electronic process will save Peppermint’s customers time taken to manage creation of these bundled documents, materials and courier costs. Simple to use, it can cope with large and highly complex document bundles and is extremely secure with password and electronic signature functionality.